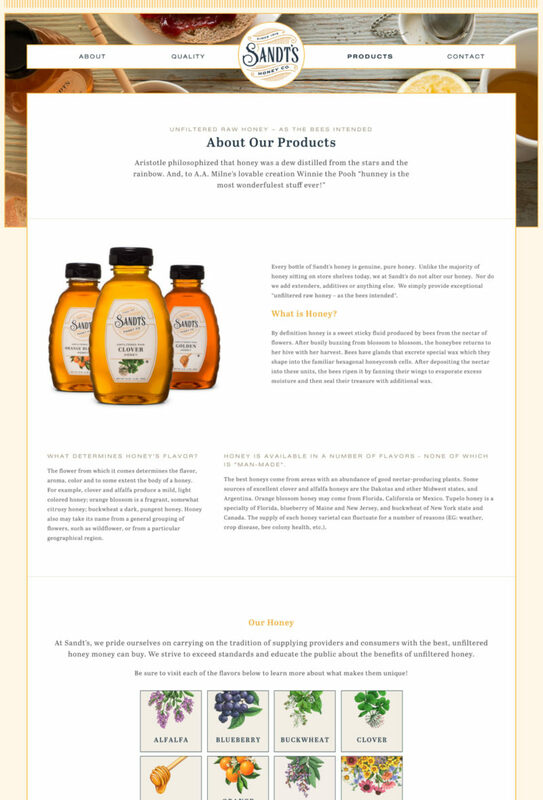 Aristotle once philosophized that honey was “a dew distilled from the stars and the rainbow.” And while this may not be literally true, it’s true in the sense that honey is one of nature’s many wonders. 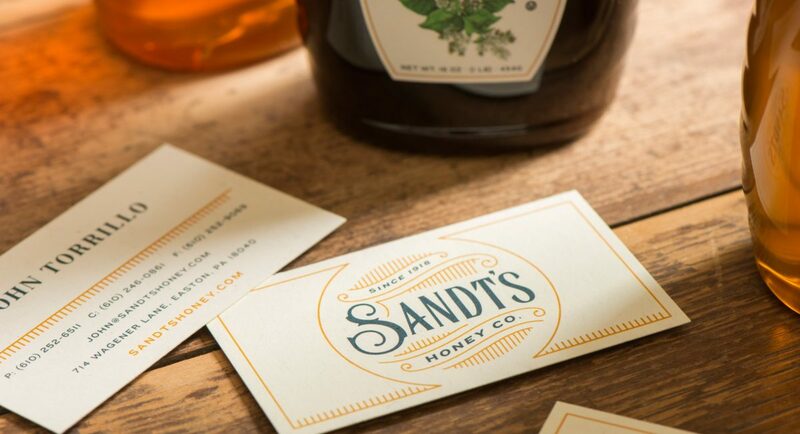 This is why John and Traci Torrillo of Sandt’s Honey Co. do what they do. 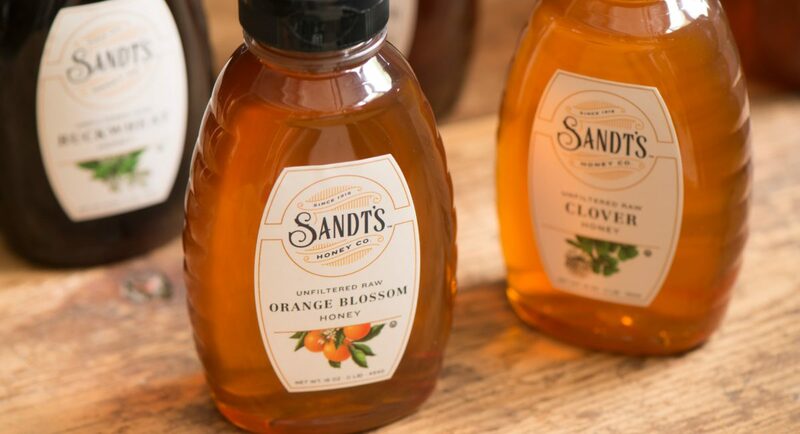 Since 1918, Sandt’s has been a family owned business operating in Easton, PA, producing natural, raw, unfiltered honey products that reflect the wonder of nature. After purchasing the business from the Sandt’s family in 2015, John and Traci partnered with us to renew the value of this century-old brand. 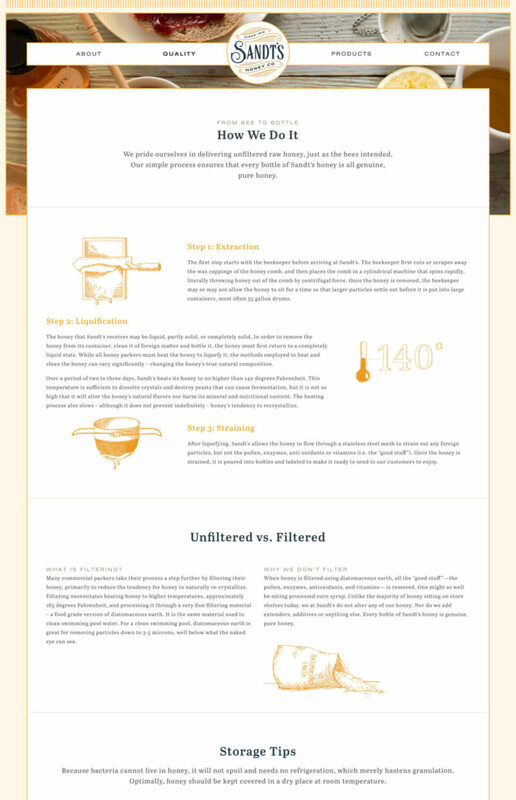 The updated brand presentation includes a nostalgic, historically inspired brandmark, dramatically improved packaging, and a website that offers a playful honey education along with a pleasant user experience that reflects the brand’s appreciation for honey as a simple, natural wonder. "They bought into our mission in a big way. As business owners and people who help other businesses, they saw themselves linked with us in this work. It wasn’t just a job. It was never just about the brand. It’s much more about mission. They get who we are and really care about it."